One of the best things about Bethesda games is their modality. It’s thanks to the constant stream of new mods from its tireless community that Skyrim can still look like it came out yesterday; complete with 4K graphics, new quests, and all the dragons replaced by Thomas the Tank Engine! Fallout 4 (which turns 3 years old in November) also requires a mod or two to keep it looking and playing up-to-date. 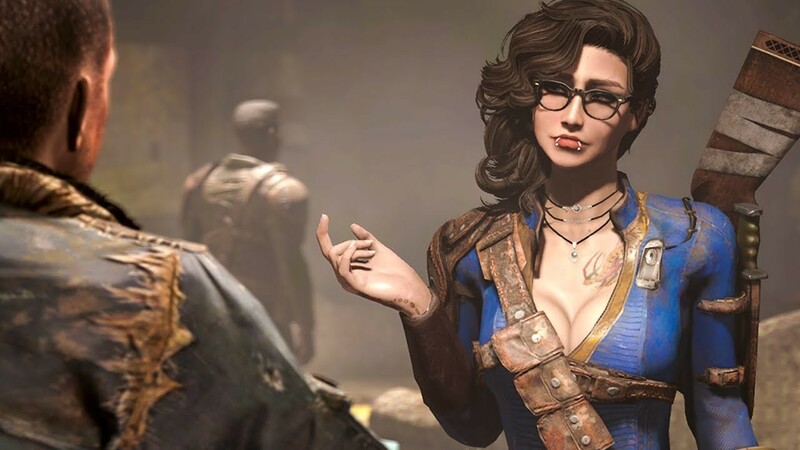 And like Skyrim, Bethesda’s post-apocalyptic RPG can also be completely overhauled, and transformed into just about anything your heart desires. Whether it’s numerous Thomas the Tank Engines you require, or the recreation of an older Fallout title within Fallout 4’s new engine, it’s all possible with mods. Here are 3 examples of free DLC for Fallout 4 (which is currently less than $10 in our webstore). It’s mods like this one that really make gaming on a PC worth it. There is just so much new content and creative investment packed into this mod– and its all free (although we do suggest you donate to the mod authors if you enjoy it). The basic premise of the Project Valkyrie mod is to add a lot more freedom to your Fallout 4 experience. You can kill main characters, make all the factions get along, or drastically alter the main quest line in many other ways of your choosing. Some of the new content in Project Valkyrie includes: twenty new quests, 4 new companions (that are fully voiced! ), new “dungeons”, player bases, bunkers and an overhauled Institute. Like Diamond City in Fallout 4, Fusion City is a hub location, but is set underground, and features a custom designed nightclub in addition to a mall, hotel, university, grocery store, laundromat, bath house… and the list goes on! But what makes this mod really exciting, are all the quests that are linked to this new metropolis. Winner of File of the Month when it released on Nexus Mods, this huge mod brings you new factions, new locations, new fully voiced companions, and of course hours of exciting new quests. Modding older games is a great way to keep them up-to-date and playable by today’s standard. This new mod seeks to do one better by recreating all of 2010’s Fallout New Vegas using the Fallout 4 engine (the tools used to build the game). In the video above you can see the character creation scene of New Vegas faithfully recreated. Recreating an older title in a newer game is awesome, but sometimes you want your mods to take you somewhere completely different– that’s where the next two come in. The mod authors working on Fallout Miami have expertly captured the retro-futurism of the original Fallout series, and added a splash of neon-tropical flair. When this mod is finished, it’ll feature locations, quests, enemies, and weapons that fit with this post-apocalyptic vacation vibe– like a squirt-gun that shoots acid! Bethesda’s official DLC “Far Harbor” showed us how well Fallout 4’s engine can create eerie coniferous forests, and Fallout Cascadia seeks to expand on that strength– this time on the other side of the U.S. This massive mod set in Seattle will seek to function as a completely stand-alone game, with a worldspace about the same size as Fallout 4. Everything from the main character to the factions will be newly designed. If you were disappointed by the direction Bethesda decided to take with the upcoming Fallout: 76, then this mod might be a good “Fallout 5” alternative. What mods do you have installed to enhance your Fallout 4 experience? Let us know in the comments below. And will you be picking up Fallout: 76 when it releases in November? Follow us on Facebook, Twitter, and Instagram to find out about our latest deals!